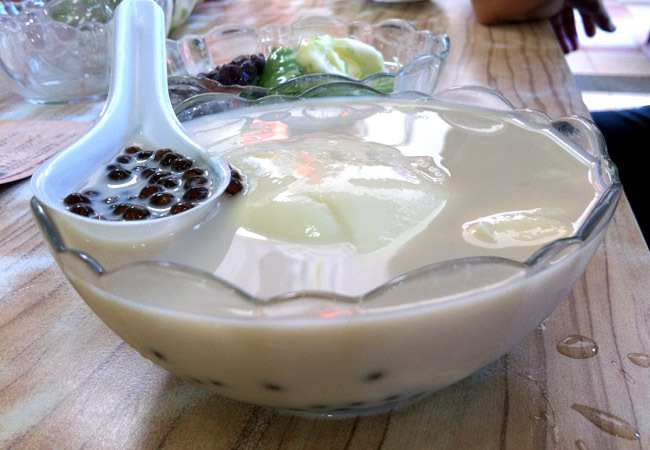 [Tainan, Taiwan] While Tau Hway (also known as Tofu Pudding, Douhua or Bean Jelly) has taken waves in Singapore, I always remember that the best ones are eaten at its ‘hometown’ – Tainan. 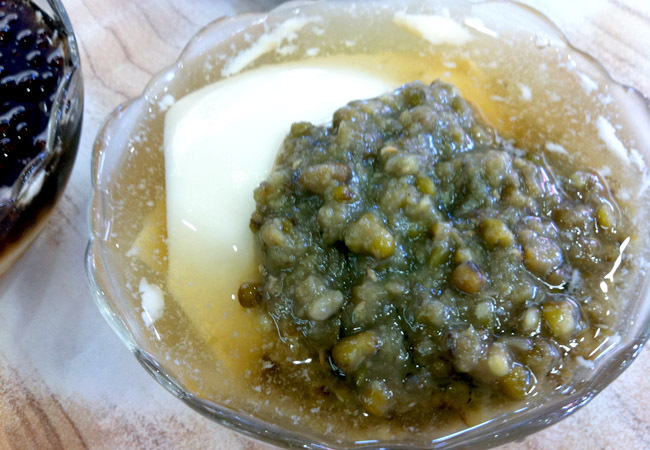 And of course, Tainan is the birthplace of Bean Jelly before it became popular in other Taiwanese cities. 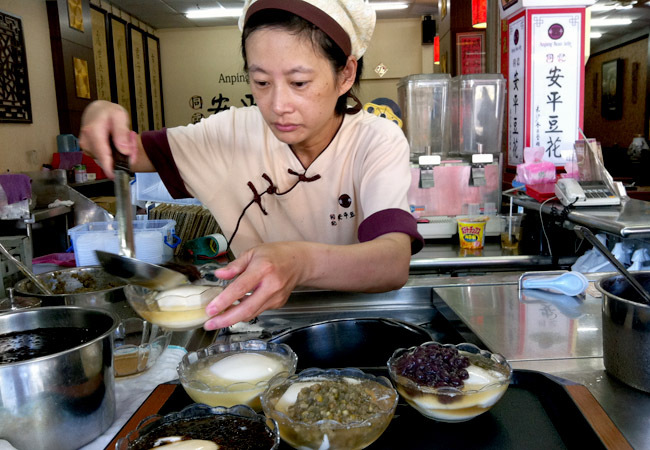 My Taiwanese host families highly recommended Tongji Anping Bean Jelly (同记安平豆花), a hugely popular shop with humble beginnings. 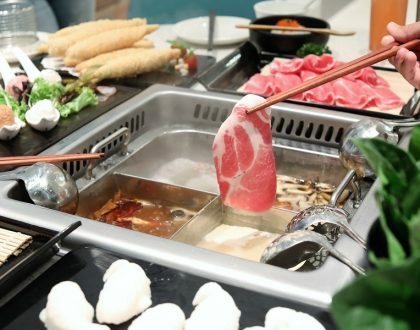 It was started by a Mr Huang Qing Tong who once peddled the soy beancurd in heated wooden buckets, and subsequently a push cart with his wife in the streets. So behind this success are hard work and a simple love story. Anping Bean Jelly’s selling point is in using traditional methods and organic soy beans to create that smooth texture and natural goodness. 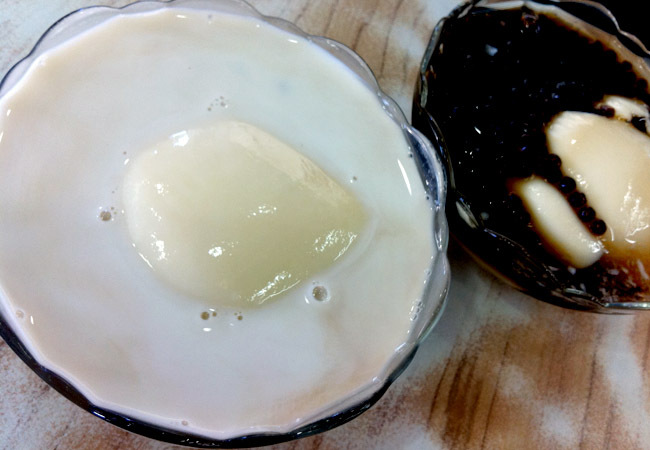 Mr. Huang laments that too many beancurd pudding in the market have been added with artificial sweeteners and agar agar, which destroys the real flavours of the soy beans. I have to agree that nothing is worse than artificial tasting Tau Hway. And it was kind of nice to see that Anping still scoops its curd off a big barrel. 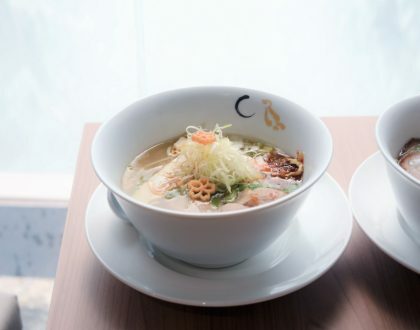 With its commercialisation, you can choose to include toppings such as azuki red beans, green beans, tapioca pearls or lemon which adds a springy zest. There are also two new flavours of black charcoal beans (said to help detoxify the body) and fresh milk (really smooth). The dessert is really about enjoying the simplest pleasures of life. 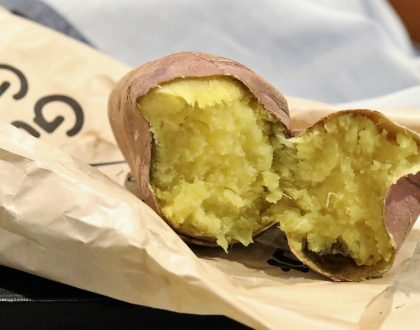 While eating, I recommend that you let the beancurd slip around your tongue slowly while you savour its smoothness, appreciating its history, its love story and real flavour of the beans. A must-have if you make your way to Tainan.